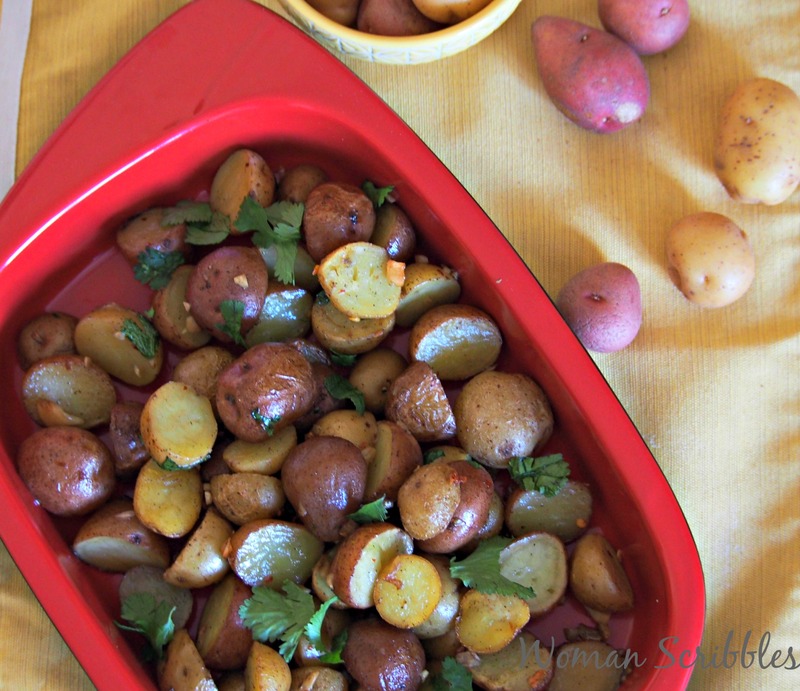 This roasted mini potatoes is an easy dish to prepare but it packs amazing flavor of garlic in a simple, one pan entree. Serve it as a side dish or on its own. Either way, this will fill you up with its delicious, tasty flavor. These roasted mini potatoes are my favorite way to cook potatoes. 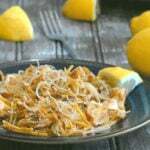 It is easy, involves very little chopping and yields a delicious, garlicky flavor. I love anything that is packed with garlic flavor, and the meaty texture of the potatoes is a perfect base that gets coated with the garlicky olive oil. And of course, if you know me well, I am all for simple recipes with few ingredients and less chopping. I totally needed this recipe in my life. I regularly make this roasted mini potatoes at home. My daughters eat these without much protest. 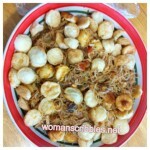 It is one of my go-to recipes whenever I do not know what to cook for dinner, basically. 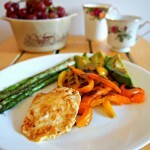 Plus, it is an easier, healthier alternative to french fries. I hope you love these. Serve it with any of these dishes above, or heck, eat them on their own, they will be filling and satisfying, either way. 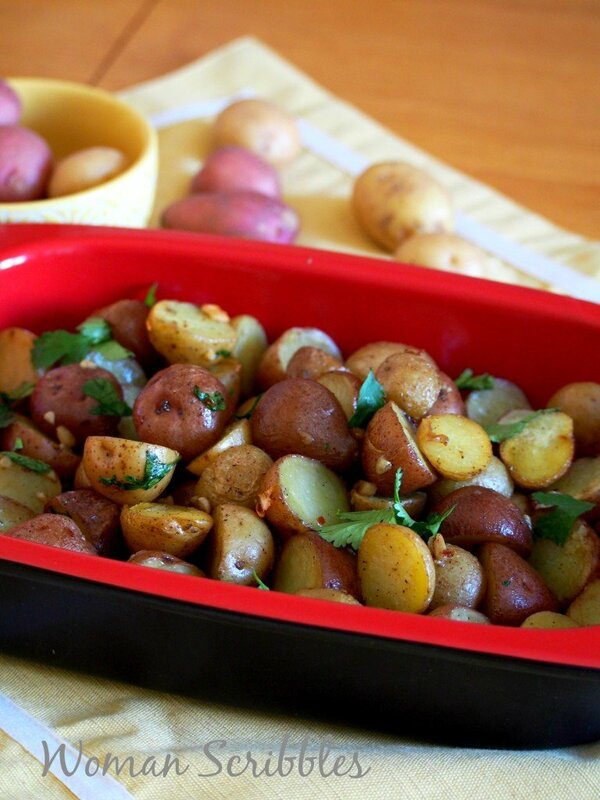 With these Roasted mini potatoes, a delicious side dish is guaranteed. Even if all else in your menu fails, ( which happens to me a lot ) this recipe is sure to stand by your side. 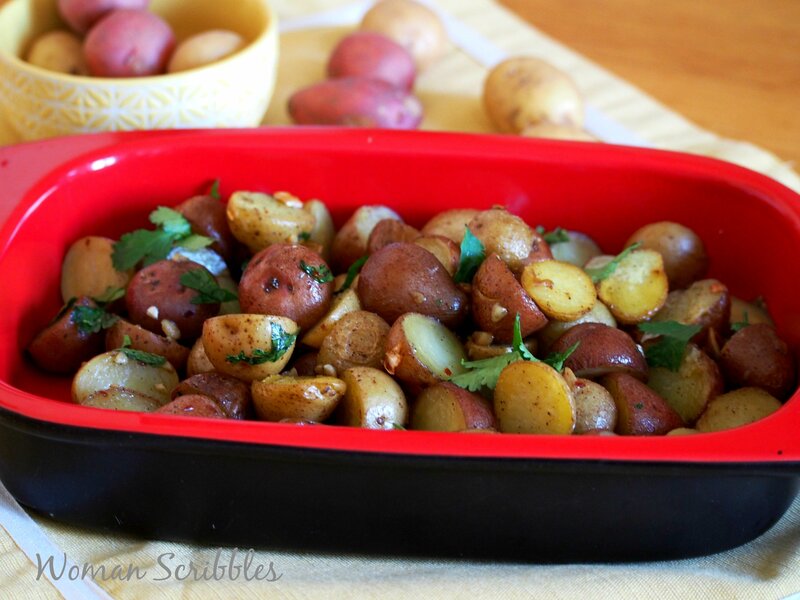 This roasted mini potatoes is an easy dish to prepare but it packs amazing flavor of garlic in a simple, one baking dish entree. Wash the potatoes, wipe dry and slice them in half. 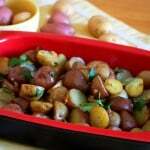 Add the potatoes in an oven safe baking dish. Add the garlic, salt, pepper , pepper flakes and the olive oil and toss potatoes around to distribute the oil evenly. 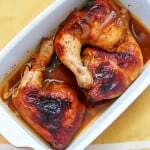 Bake in the preheated oven for 35-50 minutes, or until potatoes are tender and cooked through. Toss potatoes using tongs once or twice during the baking process to avoid too much browning of some parts. Remove from heat and add the minced parsley or cilantro. Thank you, Ms.Lalaine! I am glad and honored that this dish interests you.